UPDATE (As of 2017): Due to recent issues (more info can be found here), unfortunately, Kimicho has retired from performing as a geisha. I am deeply fascinated with Japan’s geisha and when I learned that a few of the hanamachi (geisha districts) in the country have started to accept foreigner or non-Japanese people as apprentices… I was intrigued. After all, the okiya (geisha houses) are known to be stringent with their traditions, so it’s quite fascinating to know that some of them are slowly evolving to the modern times as they open up themselves to other nationalities who have great dedication and interest toward their practices. » Understanding the Geisha of Japan: What They Truly Are, Where to See Them, and More! To date, there have ONLY been about 7 foreigner geisha in Japan admitted by a hanamachi (there’s none yet in Kyoto though, the place where the tradition is strongest and the most strict), and one of these non-Japanese geisha is Kimicho — an American geisha currently in Tokyo who, mind you, I’ve had the greatest pleasure of meeting during my trip to Japan this year! Words cannot really describe how excited I was about this opportunity because not only was I meeting up with a ‘legit’ geisha entertainer, but I was also meeting up with one of the few foreigner geisha who are slowly shaping up the hanamachi. This happened back in late March, and Kimicho and I had a private ozashiki (dinner banquet) which is one of the typical services that a geisha provides. In this affair, she kept me entertained with fun conversations while I ate and drank. By the end of our time together, she capped it off with a beautiful performance as she danced three traditional geisha dances: Sansagari, Yakko-san, and Kyo no Shiki. It helps to note that all throughout the night, I felt like I was spending some special time with a long lost friend — it was that amazing and I guess this is where a geisha’s training on the ‘art of conversation‘ came into play. Now of course, part of our conversations comprised of discussions about geisha as she helped me correct some of the misconceptions that others have formed about their profession; at the same time too, I asked about her background: why did she decide to do this, how did she do it, how does it feel to become a non-Japanese geisha, and more. Below is a rough recap of our interesting chat! TIP: I suggest that you read my article here first before reading the interview below in order to better understand the world of geisha. » I love your Japanese name: Kimicho! What does it mean? Thank you! I love my name too. My okasan (mother or proprietress of a geisha house) chose this name for me, much like what she does to everyone else in our okiya. She bases it off on our personalities and my name Kimicho more or less means “your butterfly” in English — ‘kimi‘ is a less formal Japanese word for you, and ‘cho‘ is from ‘chou‘ in Japanese which means butterfly. » Where is your okiya? My geisha house called as Yoshinoya which mainly has minarai (junior hangyoku/maiko who are apprentices) and senior geisha is located in Shinagawa’s Omori-Kaigan geisha district in Tokyo at the Oimachi area. As a hanamachi, it is quite small so there is no kenban (geisha office) and there are only two other okiya other than ours called as: Matsunoya, Namiki, and Ichigoya. » So tell me: why did you decide to become a geisha? I came from a county in Missouri in the USA (United States of America). When I was very young, I discovered a kabuki (a classical Japanese dance-drama) book in school. In that book was a photo of a maiko, and I was struck by the otherworldly beauty. From then on, I couldn’t get enough. I studied about the geisha world in books, videos, documentaries in any way I could. I even allowed myself to daydream about how wonderful it would be if I could become a geisha myself someday, although I honestly felt it was impossible. I mostly kept my interest to myself, but as I progressed through university I couldn’t quite shake my dreams, so that’s why when I was in my early 20s, I made it a point to study the Japanese language for a year in the USA. » What did your family think when you told them that you wanted to become a geisha? Since I was young I’ve always had kind of unique interests, so I don’t think they were surprised when I told them about my unusual plans. More so, I think they were a little unclear on what exactly a geisha is, which I think is fairly common of Americans at least. I showed them some photos and videos and explained a little bit and after that they seemed very excited. Since then they’ve been very supportive and we talk often. I’m lucky to have the family that I do. » And what did you do in order to become a geisha? I can imagine that it was a tough process. Yes, indeed it was! The process differs for everyone of course, but for me, it all started with my teacher who had connections with some people in Nagasaki’s hanamachi. Through her, I was able to observe and watch the geisha working in that district. When the timing was right, I asked the geisha if they would allow me to train with them. Regrettably, my Japanese wasn’t so good yet at that time and the older geisha weren’t sure of me yet; which I wholly understand. So in the end, they declined me — I felt very discouraged, but my dance teacher and friends in Nagasaki believed in me, and told me to keep going. I contacted various okiya all over Japan and received a few rejections, but in the end I got in contact with my current Okasan. She’s an amazing woman with a big heart, and she told me that if I did my best and studied passionately, it didn’t matter if I was Japanese or not. So I moved to Tokyo to start studying! » That’s really great that your okasan had an open mind to your special situation! That’s true and I’m very thankful. I think it’s in Tokyo, Nara, and other places that the geisha world is more flexible toward special cases and different practices. Kyoto is very different from Tokyo, and they adhere very strictly to tradition, so it would be very very difficult for a foreign person, a married woman, or a woman with children to be accepted there. 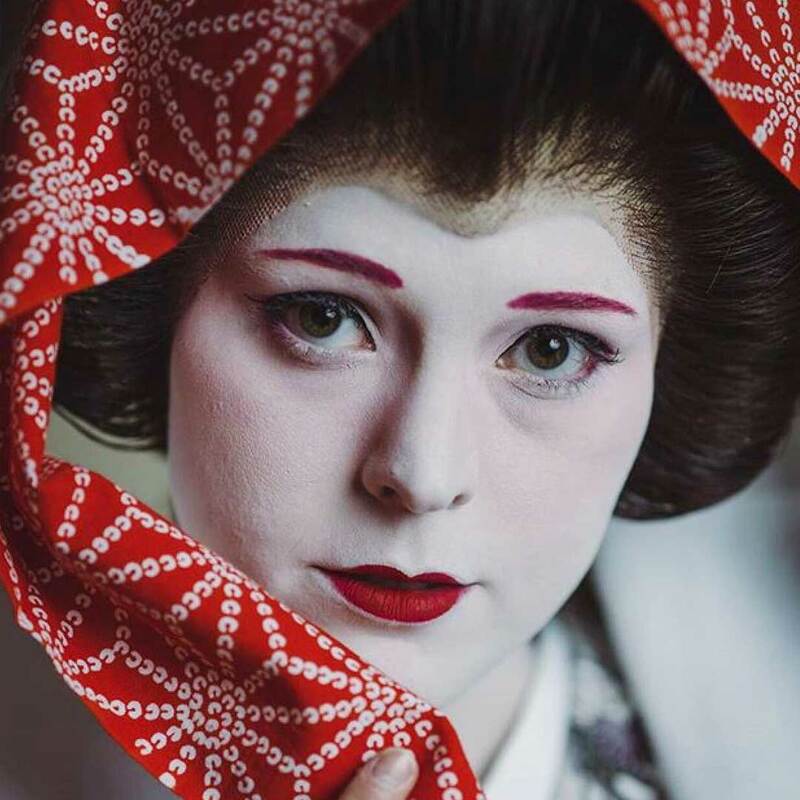 NOTE by Aileen: I’ve been told that for foreigners to train as geisha is NOT regarded as cultural appropriation by geisha and Japanese people alike because they deem it more as ‘appreciation’. 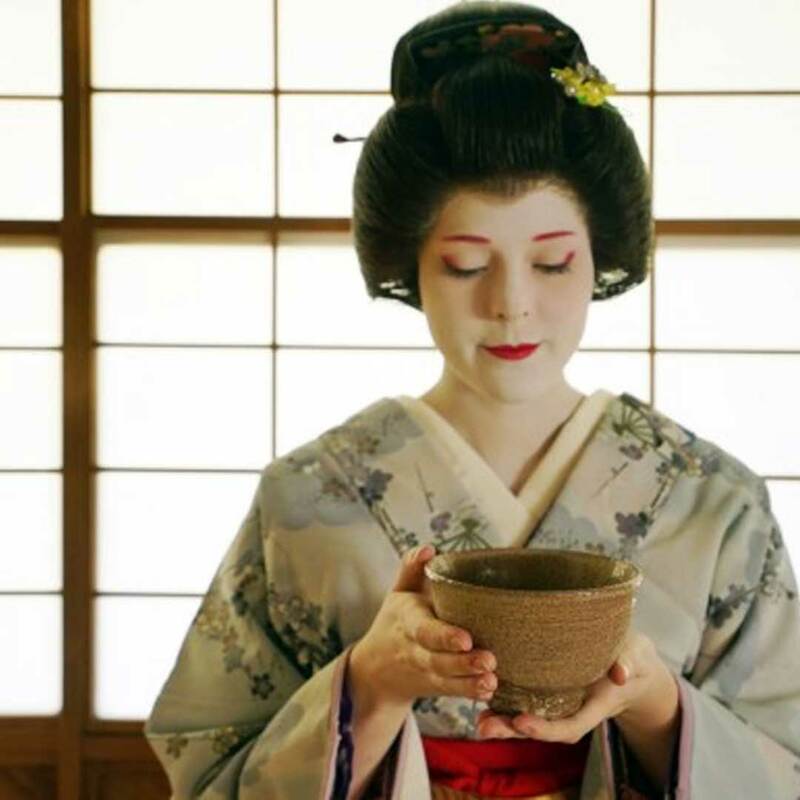 Besides, as they properly undergo formal guidance under their okiya, Kimicho and the others are all strictly following, training, respecting, and practicing the profession in a way that does not distort the cultural elements of the geisha tradition. With all that being said, foreigner geisha are accepted by the community (otherwise, they wouldn’t have even been allowed to stay nor work in a hanamachi). Plus, others absolutely do NOT find it as disrespectful at all — compare it to a ‘furisode-san‘ who is a Japanese “acting”, imitating, and working like geisha, then that is what they find as somewhat disrespectful. It helps to note anyway that Japanese in general like it a lot when other nationalities take an interest in their culture, customs, clothing, and more — which is unlike other countries who might often refer to it as appropriation. This is the reason why makeover studios and kimono rental places are popular in Japan. (I once rented a kimono and walked around Asakusa, and a lot of Japanese people walked up to me to appreciate the fact that I was wearing a kimono. Some of them even gave me a thumbs up haha). » If there are different ‘routes’ to becoming a geisha, what are examples? In Kyoto young girls first become apprentices called maiko. In Tokyo and in other places we use the term hangyoku to refer to apprentices. In Tokyo these apprentices start around 18 and can work as hangyoku as late as 23, and in Kyoto maiko usually begin around 15 or 16 and become full geisha when they are around 20. Kyoto has special laws in place that allow young ladies to forgo high school in order to begin their training. However, you don’t have to start as a hangyoku. You can already start as a geisha, but still with training involved beforehand. Yet of course the prestige of going through a more thorough training process can add to your reputation. Typically though, most girls who start younger prefer to start as a maiko/hangyoku first. Meanwhile, for girls who are 23 and above, they are seen as too old to become hangyoku so they already become a geisha when they join the community — I’m currently 25, so I started as a geisha when I entered my okiya. However, I’m still in my training phase which also shows in my appearance: I do not yet wear the traditional makeup, called shiro-nuri, and the katsura, traditional Japanese wig. I’m only allowed to wear them once my okasan and my teachers give their approval that I’m ready to debut as a full-fledged geisha. I am allowed to dance and play music at parties, but I am not yet considered a ranking geisha, still just a trainee. » So full-fledged geisha always need to have shiro-nuri (white makeup and wig) while working? Whether a geisha appears in shiro-nuri depends on many factors. Jikata, or musician, geisha often don’t wear shiro-nuri, and depending upon the venue and the customer’s request we attend parties in typical formal kimono but with western style hairdressing, which we call “yohatsu“. » How often do you do ozashiki? This depends entirely on the season and demand of course, but on average my okiya is busiest during January wherein we often do several parties in a day. (Ozashiki typically last from one hour to three — or even more if the customer asks for it). » Can I, as a customer, give geisha a tip during an ozashiki? Yes you can, and you can give tips directly to the geisha. The traditional Japanese way is either to fold the bill nicely and put it in a pretty envelope, then present it to the geisha. Or put the bill in between two of the disposable chopsticks that aren’t yet broken apart, and present it to the geisha. Often she will put tips in the collar of her kimono. » And when you’re not working, what do you do? Part of a geisha’s job is to constantly train to improve her art. So when I don’t perform for guests, I attend lessons with my okasan and onesans (onesan means older sister, and refers to women with higher seniority in the geisha community). 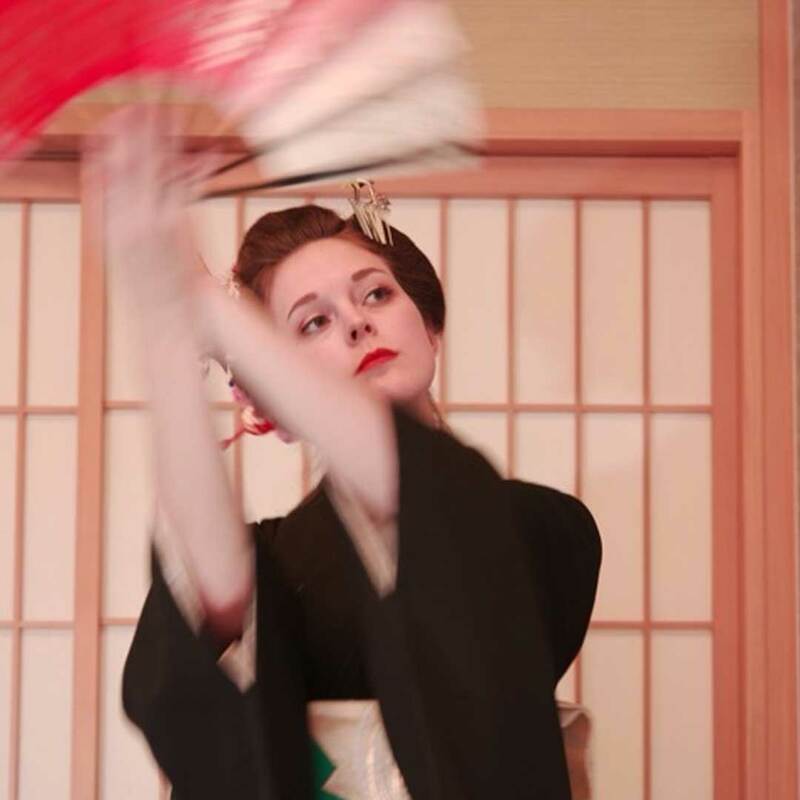 We have lessons multiple times per week in dance, shamisen (Japanese stringed instrument), flute, and other arts depending upon the individual geisha. I also practice a lot on my own, and try to make time for other hobbies. The school of dance and music that is studied varies from hanamachi to hanamachi. In Omori Kaigan, we study the Hanayagi school of dance, which has origins in Kabuki much like the other schools of Nihon Buyo (Japanese traditional dance). » Do you always wear a kimono even when you’re not working? 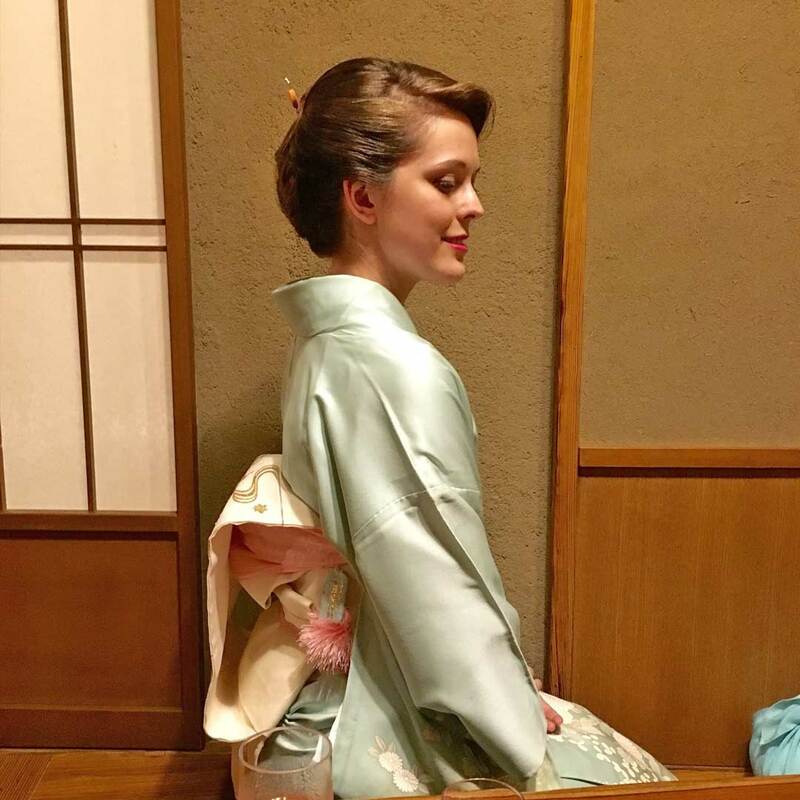 I try to wear kimono as often as I possibly can, for one because I love kimono but it’s also an important part of a geisha’s job to be able to wear kimono beautifully and naturally. Of course I take a few days off here and there, especially in the heat of the summer! » You started just last August 2015. How is everything so far? Is it difficult? Everything is going great! I love that I am able to study these beautiful traditional arts and hopefully make art into my career. I have come to meet many other amazing artists studying the beauty of Japan in just the few months I’ve been in Tokyo and I’m extremely grateful for that. At the start, it was definitely difficult because the culture and customs are so different from what I grew up with in America. There were so many things to learn! I had to change how I use body language, my way of walking, the idea of sempai and kouhai (senior and junior) in Japanese culture, and of course the language itself! I still have a long way to go to learn about and fit into this extremely complex and traditional world. But what is important to me is that I keep working hard and little by little improve. I am trying to take all the time necessary to make sure I do a thorough and respectful job of studying and adapting my American self to be a little bit more Japanese! 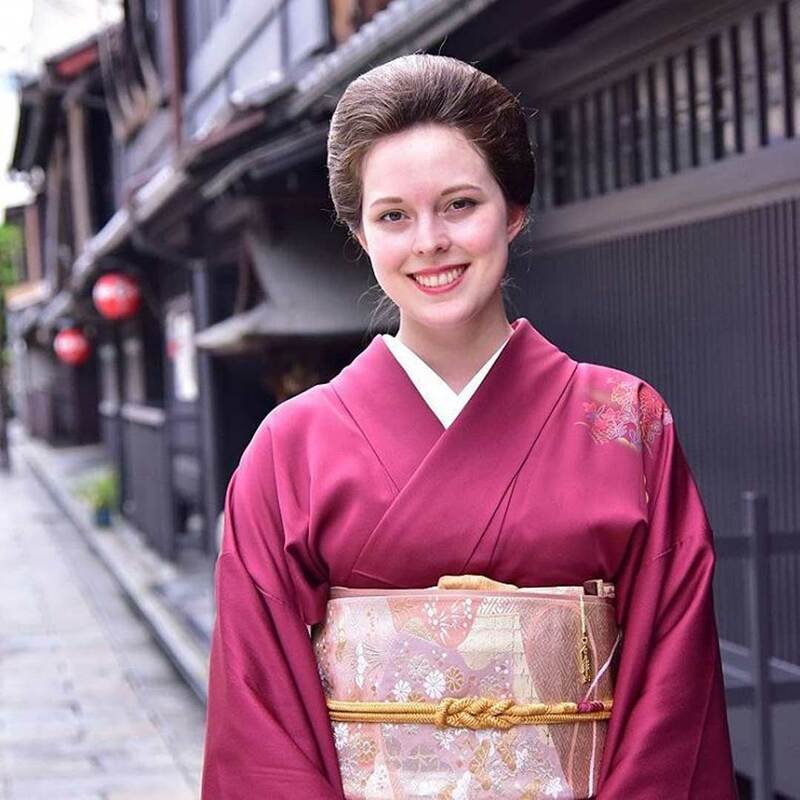 » Does being a foreigner make living and studying in the geisha world more difficult for you? Everyone has been very kind and supportive of me. Some are not sure at first about how to react to the idea of a foreign person being interested in studying geisha culture, but I understand because it’s not yet a very common thing! Most Japanese people seem very happy when others take an interest in their culture, so I get a lot of positive feedback. Training was difficult in the sense that I at first also had a language barrier, but learning a new skill is also a great way to improve a foreign language very quickly so it was more of a good thing than bad! Again, everyone has been very supportive, willing to offer tips and advice, and excited that I want to learn as much as I can. Actually now with the Tokyo Olympics fast approaching, my onesans and okasan are very interested in learning English conversation so they can better accommodate foreign guests; so while now I often have the opportunity to act as a translator for guests, in the future I hope to teach them a little so that they can speak freely with guests in English as well. » Speaking of the language, it must be great then that you already studied Japanese before in the USA. That’s true! I studied it in the USA for a year, and then add the time that I studied in Nagasaki for another year. Japanese is a very difficult language and I’m by no means fluent yet. I improve little by little every day, it’s an ongoing process. » What advice can you give to non-Japanese people who are interested in becoming a geisha just like you? The very first and most important thing is to start studying Japanese right now! Study as hard as you can, because having a base knowledge when you come to Japan will be immeasurably helpful. 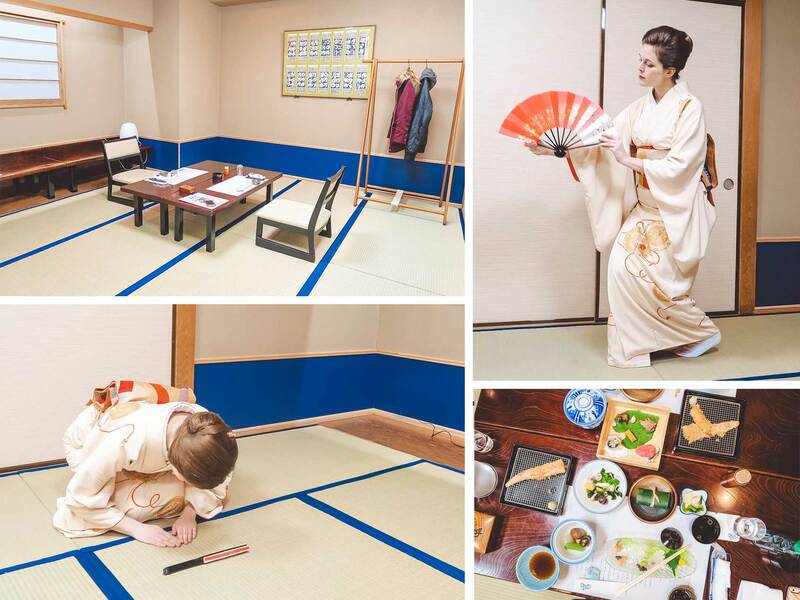 You should try to familiarize yourself as much as possible with Japanese traditions, just learn a bit about wearing kimono, the basics of tea ceremony and Japanese manners, a little Japanese history, etc. In general, try to prepare yourself and then come over to Japan as soon as you can. You can’t get really started with training from abroad. Other than these, you must absolutely ensure that you are ready to work very hard since you will surely make a lot of sacrifices as you train and live as a geisha. If it isn’t something you’re truly passionate about, you might find it a difficult world to live in. » By the way, would you know what geisha feel in general towards tourists who dress up like them? I’ve learned that there are studios in Kyoto who can give anyone a makeover. Help take away the attention on the real ones who are often in a rush to go to work. Help bring more attention to the geisha tradition which is dwindling today. (In the past there has been almost 80,000 geisha; today however, there are only around 1,000 to 2,000). Help serve as a practice ground for young Japanese girls who have interest in becoming a geisha. Similarly, some Japanese girls who go through these studios could also suddenly develop the interest of becoming a geisha after doing it. If you want to know how to differentiate the ‘fake’ ones from the real ones, you can read my guide here — but if you ever spot a real geisha or hangyoku, please don’t harass them. Be respectful. » While we’re on the topic of non-legitimate geisha who dress up as one, can you tell me about those who are called furisode-san? A furisode-san or kimono-san is NOT a geisha. They are paid entertainers who only mimic the look and services of geisha and hangyoku at a cheaper price. They only have a very basic arts training and work for a company part-time. When they become a certain age they are often forced to quit as the job usually requires wearing Furisode kimono which are only for younger women. 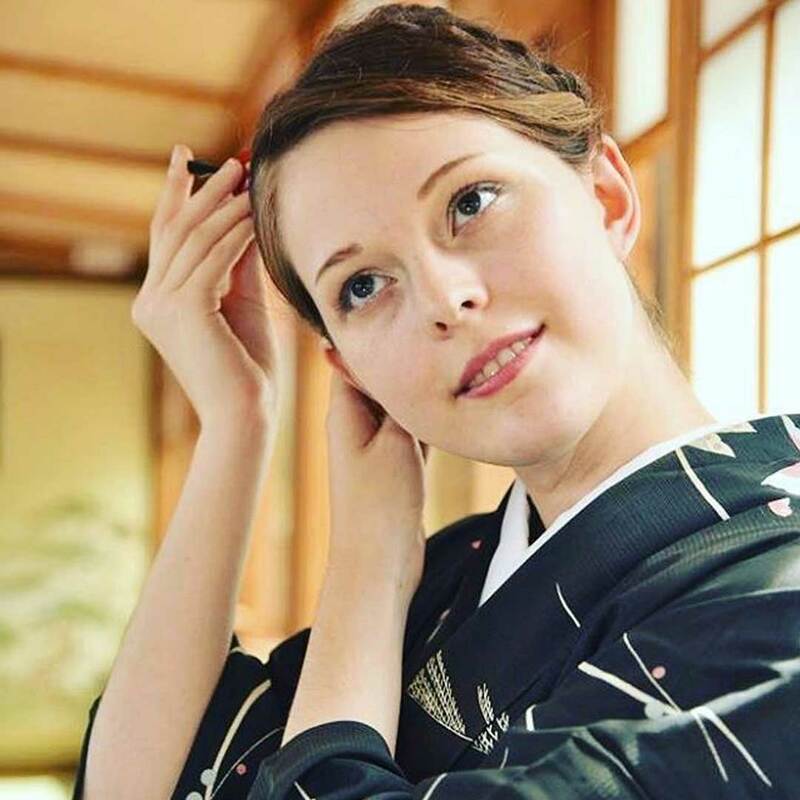 It’s very likely that travelers nowadays who have had an experience with geisha in a dinner banquet have actually dealt with furisode-sans instead. Given these facts, a lot of real geisha like to distinguish or separate themselves from a furisode-san — not because they feel threatened by furisode-san, but because the geisha world holds itself to a higher standard. » I’ve heard that geisha have a HUGE fan base in Japan but also worldwide — and I can understand why. I bet you have a growing fan base too, Kimicho! I’m still starting out but that’s very sweet of you to say! Indeed, geisha have a huge fanbase worldwide. I myself look up to a lot of geisha in this industry. Truth be told, I haven’t met up personally with a Kyoto geisha yet and one day, I hope to finally meet one! Before the night ended, Kimicho handed me her unique geisha business card which is called as hanameishi or senjafuda. But below is Kimicho’s regular business card which in Japanese is called meishi. UPDATE: As of April 2016, I learned that Kimicho’s okasan has already decided that it’s time for her to debut! She has now been performing lately with white make-up on (oshiroi) and with a geisha wig (katsura) — look at the photo below! You can follow Kimicho’s updates on her Instagram account at @yoshinoya_kimicho. (You can also find the website of Kimicho’s okiya here). Do you need to apply for a Japan Tourist Visa? This was truly an experience that I will forever remember and treasure. Kimicho was a sweetheart and I truly love talking to her and learning more about her experience and the geisha world in general. Additionally, her desire to help preserve the traditional arts of Japan as well as her desire to promote the geisha practice in general is something that I really loved about her. Much like Kimicho, I really wound’t want a time where things like these can only be seen in books and/or movies (the fact that the samurai culture in Japan is gone is already so saddening to me). UPDATE: Since Kimicho has now retired from the profession, unfortunately, it is no longer possible to book her. What do you think about this interview? 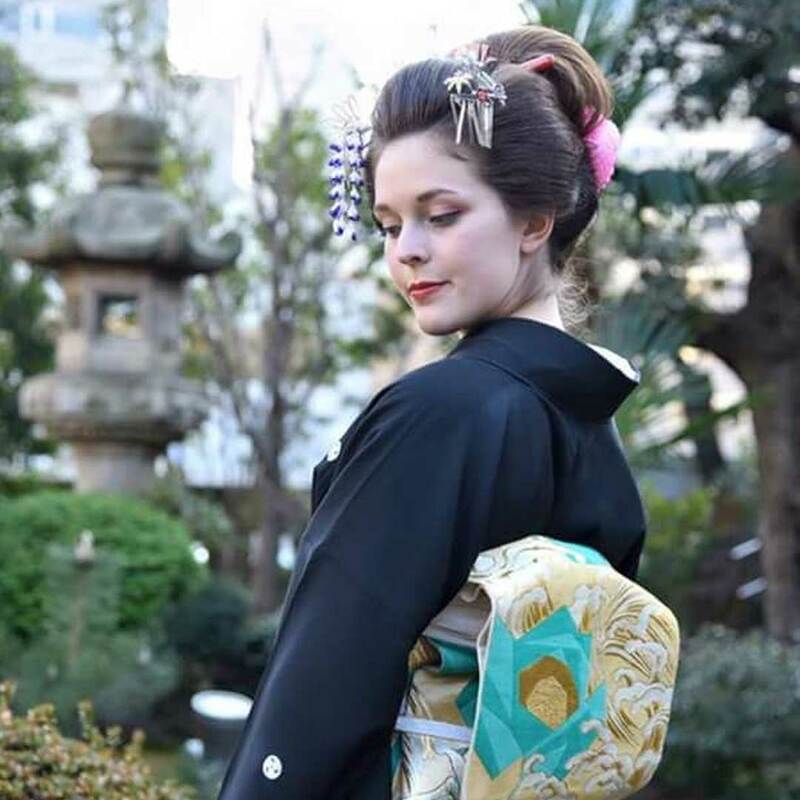 What is your opinion about foreigners who are training to become geisha? Would you like to meet Kimicho? Why or why not? Wow! I think it's great you touched on the idea of cultural appropriation because I was not sure what people are thinking with foreign geisha and the last thing we want to do is make them feel offended or mocked. What an amazing lady, thanks for sharing this interview with us! 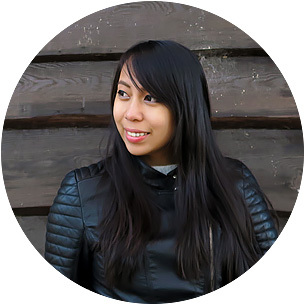 Aileen, I loved this interview! I found a sneak preview I think through your intsagram and from there went to Kimicho's instagram, where I looked through photos and wondered "How did she manage to get there?!" so this blog post was great--loved learning her story through your insightful interview on a topic I knew nothing about! I never thought it would be possible for a foreigner to become a Geisha. Well done to Kimicho. Getting into and being accepted in the "Geisha universe" must have been much harder than she makes it appear. Wow! I recently had a makeover and photos taken as a geisha, but its really interesting to see Kimicho learn the art and enjoy it. Geishas always look effortlessly beautiful, I can imagine how incredible this career is for her! Wow, this is a very fascinating interview and it is amazing that non-Japanese geisha exist! Whoops sorry! I didn't let your link load all the way, I missed the redirection to your list and thought it was just a link to the other article. I meant *Fukutaro (not Momotaro) but "Izu" is supposed to be "Ibu" (一舞 her real name is Eve). I didn't know about Juri, I'll have to do some research. It's great as well that you have a dream to become a geisha. Like you, I wholly admire Kimicho's dedication as well. I hope you get to achieve your dream as well of becoming one! Oh no worries! I actually just did research a few minutes ago and I also saw Rinka on the tumblr page of Geisha-Kai. :D Thanks still for sending this to me, M!